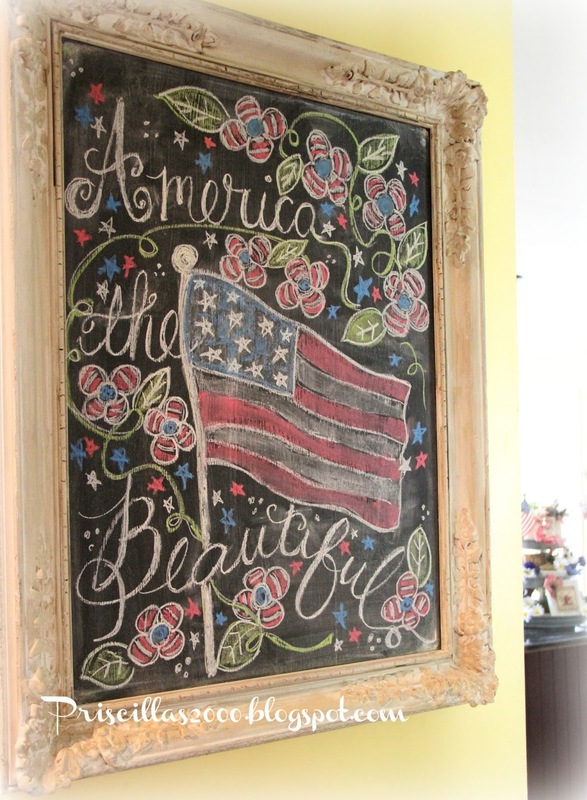 The chalkboard has been red, white and blued! 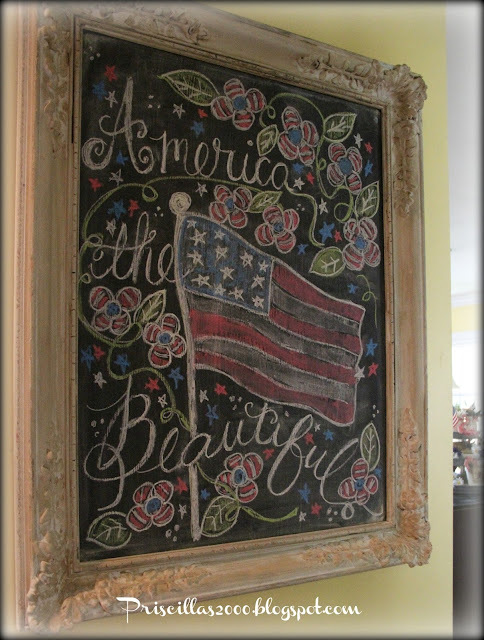 I went with the same theme as the cross stitch Seasons in Chalk piece for my patriotic chalkboard this year! The chalkboard is made from a garage sale frame , a board cut from Home Depot and painted with chalkboard paint.. It gets changed out for every season ! 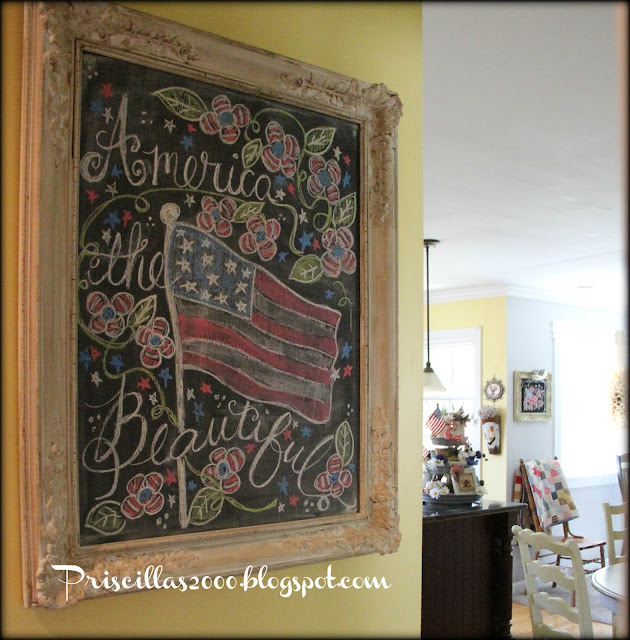 Love my chalkboards! Oh that is just adorable! 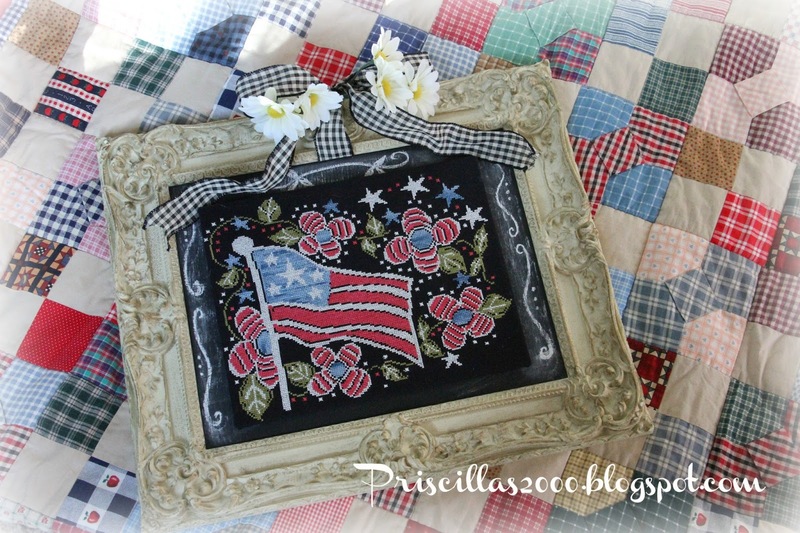 Patriotic stitching is my favorite. Can't wait for my magazine to arrive so that I can get started. Thanks Priscilla - you are so very talented! You do a fantastic job with the chalkboards! 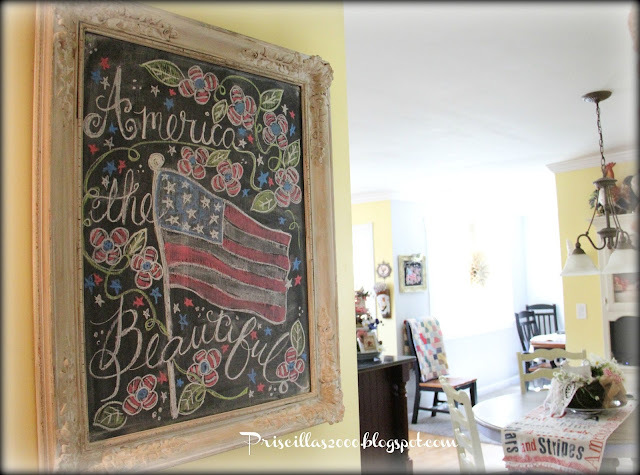 Love your patriotic chalkboard and I do enjoy your seasonal changes on your chalkboard too. Is there a way you can preserve your chalkboard art or do you 'erase' it? All that work? This would make a great cross stitch piece...just sayin'.